Though not as tall as Everest, the "Savage Mountain" is far more dangerous. Located on the border of China and Pakistan, K2 has some of the harshest climbing conditions in the world. Ninety women have scaled Everest but of the six women who reached the summit of K2, three lost their lives on the way back down the mountain and two have since died on other climbs. 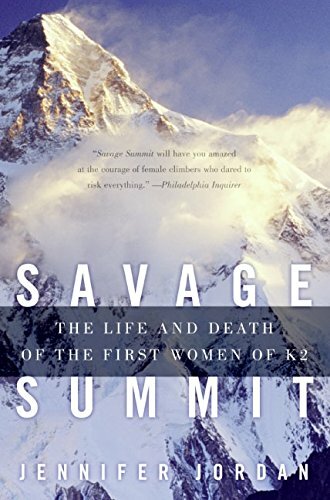 In Savage Summit, Jennifer Jordan shares the tragic, compelling, inspiring, and extraordinary true stories of a handful of courageous women -- mothers and daughters, wives and lovers, poets and engineers -- who defeated this formidable mountain yet ultimately perished in pursuit of their dreams.